If you haven't yet, read Robert Draper's cover story on Mitt Romney in yesterday's New York Times Magazine. 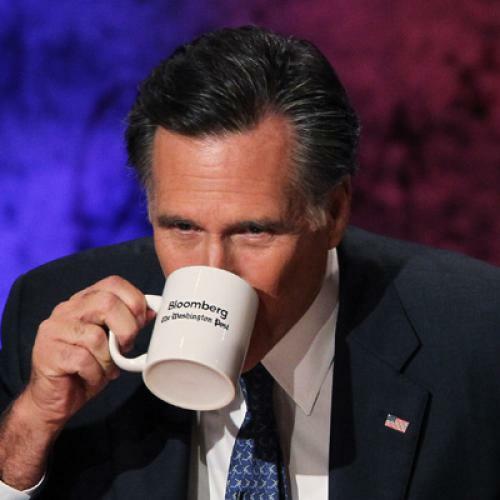 It's a fine distillation of the Romney campaign's attempt to retool for its second try. It has the most uinintentionally telling quote from within the campaign that I've seen yet: "'The Mormon's never going to win the who-do-you-want-to-have-a-beer-with contest,' concedes one adviser, while another acknowledges, 'He's never had the experience of sitting in a bar, and like, talking.'" It captures well what has only recently started to be addressed in campaign coverage, just how protected from questions (from voters and reporters alike) Romney has been this year. And it makes a sharp substantive critique on the lack of clarity and consistency in Romney's thinking on revitalizing struggling industries, despite all his talk about the economy. I've met with Doug Gross myself. He's the epitome of the mild-mannered Midwesterner. For someone to get angry amid an introductory political chat with Doug Gross...well, that doesn't seem very unflappable, does it?